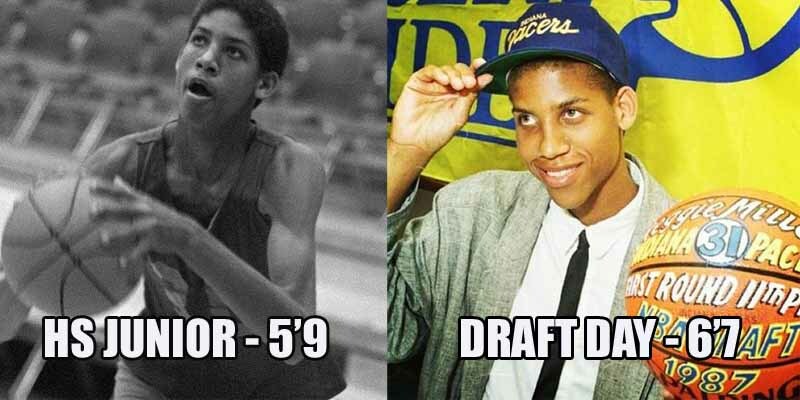 Reggie Miller was always a great basketball player, but no matter how hard he worked on his game, he couldn’t match up to his sister Cheryl, 17 months his senior, who is now one of the most decorated female basketball players of all time. That was until Cheryl came home for Christmas break from her freshman year in college, when she noticed her brother grew very tall and surpassed her 6’2, heading toward an eventual height of 6-foot-7. They played one-on-one, he blocked two of his sister’s shots and the she said that from that point on they would only play HORSE.